Ample space and beautifully updated décor accented by high ceilings for lots of light. Fully updated kitchen with hardwood floor, granite countertops and stacked stone backsplash plus nearly new appliances including refrigerator. Big breakfast room walks out to the deck. Bathrooms are also remodeled with great tile and granite. This home features two large family rooms, one with fireplace and wet bar with granite countertops. The other has lots of windows and walks out to the patio with fire pit and beautiful landscaping. Master bedroom modified into Master suite w/lots of closet space. The master includes a sitting room that would also make an ideal nursery. Fresh interior paint. Exercise/Office space and 1/2 bath in basement in addition to big storage room with it's own door to the oversize garage. GREAT Shawnee Mission East school district. Located on a 6-home cul-de-sac, close to shopping, restaurants, & parks. 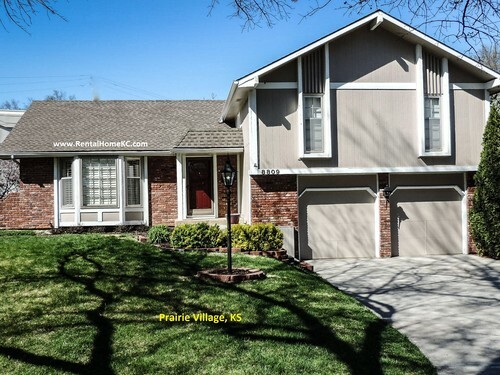 Don't miss this opportunity to live in a highly sought after Prairie Village neighborhood!